And YOU get a car!! 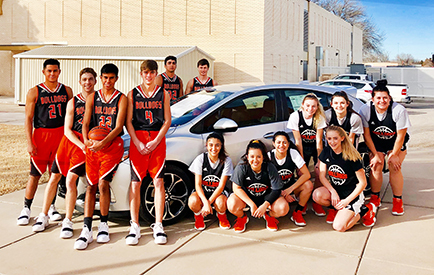 Senior members of the Artesia High School Bulldog and Lady Bulldog basketball teams pose for a photo alongside the Chevrolet Cruze Hatchback currently being raffled by the teams’ booster programs. Tickets are $20 and may be purchased at any home game — including tonight’s Homecoming bouts between the Lady Bulldogs and Carlsbad Cavegirls at 5:30 p.m. and the Bulldogs and Cavemen at 7 p.m. at Bulldog Pit — or from any basketball booster. 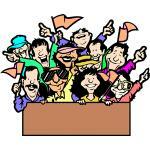 The winning ticket will be drawn Friday, Feb. 22, during Pack the Pit Night against Goddard.